Olympique Lyonnais reports that the 2013/14 season has set a record of attendance. Which is great news ahead of moving to a much larger stadium outside the city. 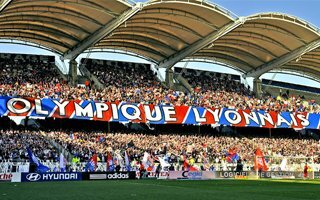 In 2013/14 Ligue 1 season Olympique Lyonnais enjoyed a total turnout of 1,016,564 people, averaging at 34 414 per game. During the last 10 home games the crowd stood at 36,125 fans, representing a 95% occupancy rate at Stade Gerland (without the away end). The statistics show an unprecedented result, beating the last record of 1,012,165 people throughout the season from 2006/07 Ligue 1 campaign. While the club’s occupancy rate came third in the league last season, following the sold-out games of PSG and Bastia. This news is a great encouragement as the club are preparing to move to their new Stade des Lumieres next year. The arena will have over 61,500 seats, so selling out may be a challenge even for a club of Lyon’s stature.